Inexpensive Mexico Bistro Dining set with four chairs. 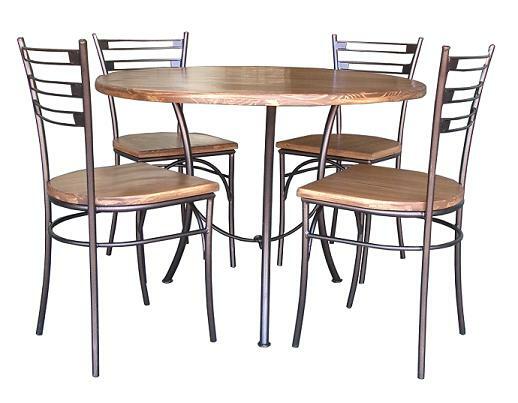 Our inexpensive, durable Mexican bistro set includes table and four chairs. Table is available in 80cm or 102 cm diameter. Bring a little retro into your Mexico decor. Durable, simple and highly-practical. Don't be fooled by the low-price, this is a great dining set for your Mexican eat-in kitchen nook, your Mexico covered patio, or for a breezy protected terrace overlooking the beautiful Sea of Cortes. Cheers, and "buen provecho"!